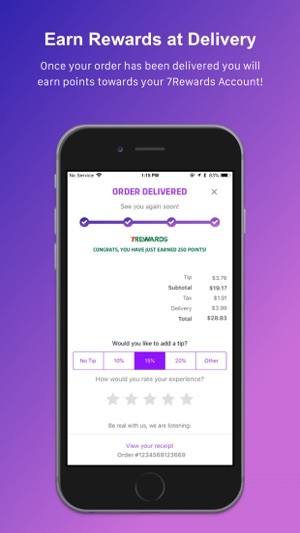 Easily view your order and confirm at checkout. 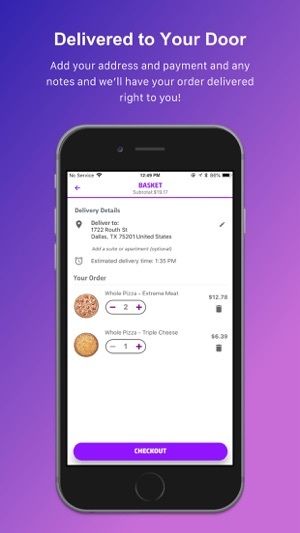 Securely pay in-app with Apple Pay or enter ​your payment info to save time and streamline your order. Bug fixes and enhancements to improve your 7NOW experience. 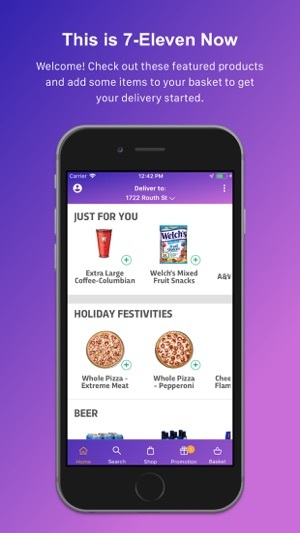 I’m always amazed when a major corporation releases and heavily markets a product like #7now but doesn’t catch stuff like... updating delivery time... in a delivery app. Fun fact, the app also does not tell you what it’s password requirements are during account creation or allow hyphens in last names, shows out of stock items as available, does not have a way to contact the driver or modify the order once submitted, sells your personal information (US only so it’s legal to require you to opt in to email marketing and associated data barter), requires you to call customer service and wait on hold for upwards of 45 minutes... to leave a voicemail, and the best part is it’s not even 7Eleven delivering your order... it’s Postmates! Also can’t request a refund on an order through the app, Microsoft Anna yells at you about there being “three people ahead of you” although that number doesn’t change and eventually just dumps you to voicemail, cancels orders hours after stated delivery time without reaching out to customers and in some cases without notifying them, delivers partially fulfilled orders and sometimes charges the full amount. I’d be genuinely amused by the incompetence on display here if it wasn’t standing between me and some skittles... which means that this is true to the in-store 7Eleven experience at least. I’m a big fan of app delivery services, but nobody offered tobacco delivery. And then I found 7NOW. They do require ID at checkout AND when delivered and the driver is required to scan the ID. Super smart. I use this feature to avoid going out of my way/dealing with early morning traffic in the mornings to get cigarettes when my work is a straight shot from my home. I haven’t had any problems with the app, they always arrive on time or early. 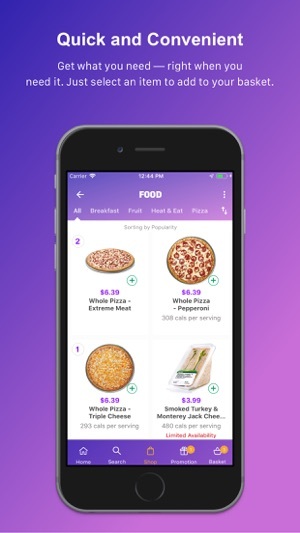 And for those that are complaining about your 7-11 not delivering - not all stores participate- just like on GrubHub/DoorDash/Postmates. I know there is a closer 7-11 to me than the one that the driver shows up at on the map. Just cause there is a store a block away doesn’t mean they offer delivery! Don’t blame the app for that. Update 1/6/19: Tried to give them another shot shortly before Christmas. First order was modified & then one minute later cancelled. I placed a second order which made its way to me. The order was fine for the most part except they charged me for both orders. It’s been a couple weeks and I have yet to be refunded for the cancelled order. Calling customer service(as the developer response says I should do), does nothing. They put you on hold forever and when it’s finally your turn, they send you to a voicemail box to leave a message. I’ve tried multiple times to reach them to no avail. 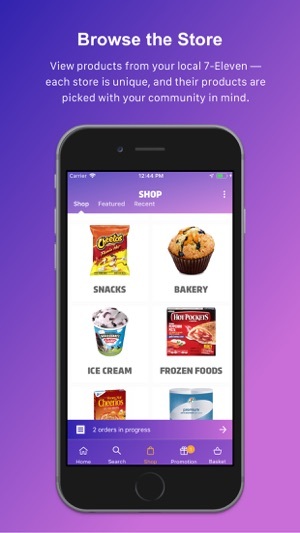 Original review: You’re better off going with their main competitor(GoPuff) in the convenience store delivery industry. Twice now I’ve had issues with my orders. The first time, I didn’t receive items. I finally got through to someone but it took a lot of effort. Over Black Friday weekend, they had a promotion where if you bought $50 worth of stuff, they would later return $25 to your credit card. It’s been over a week now and no sign of it in my account. I tried calling them and the automated system hung up on me. I did this two more times and each time the system hung up on me. We hate to hear this. We apologize that we did not meet your expectations and we will surely address the fact that your call went unacknowledged. You will receive a full refund and a FREE delivery to your account. Please email us at GM-7-ElevenCares@7-11.com with your first and last name and your order number if available so we can make it right.